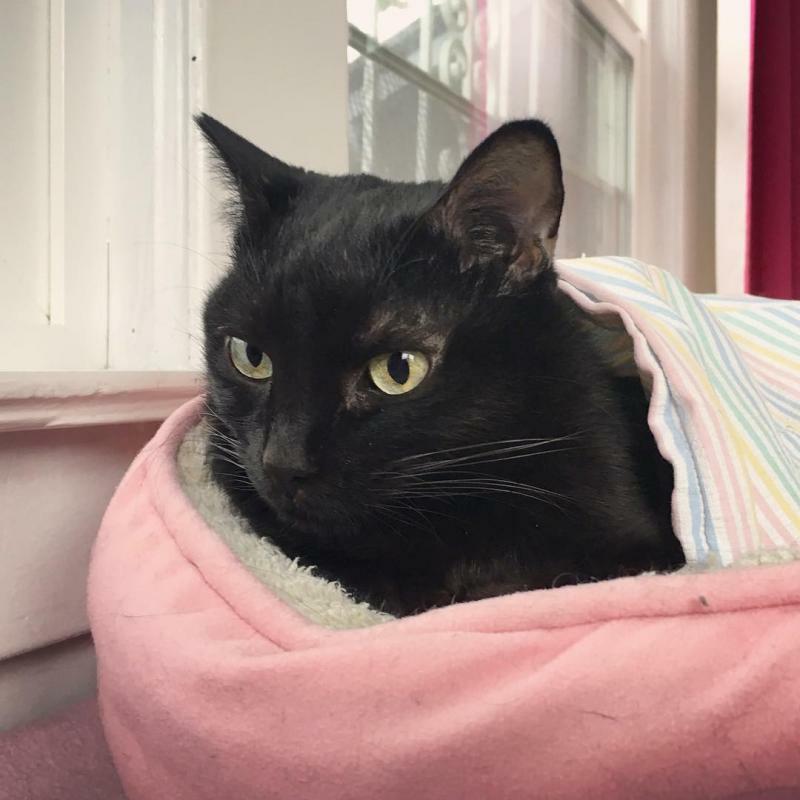 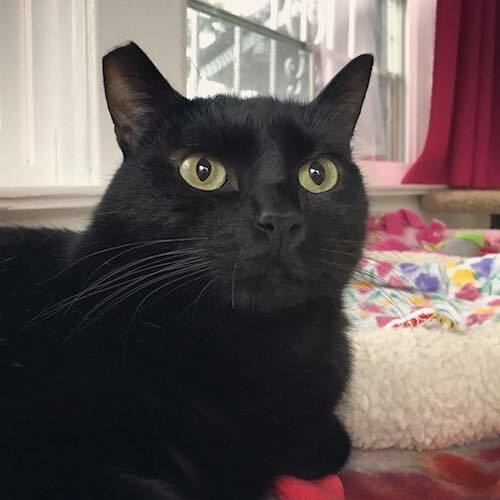 Monique is a sweet, gentle little house panther lady who loves belly rubs! 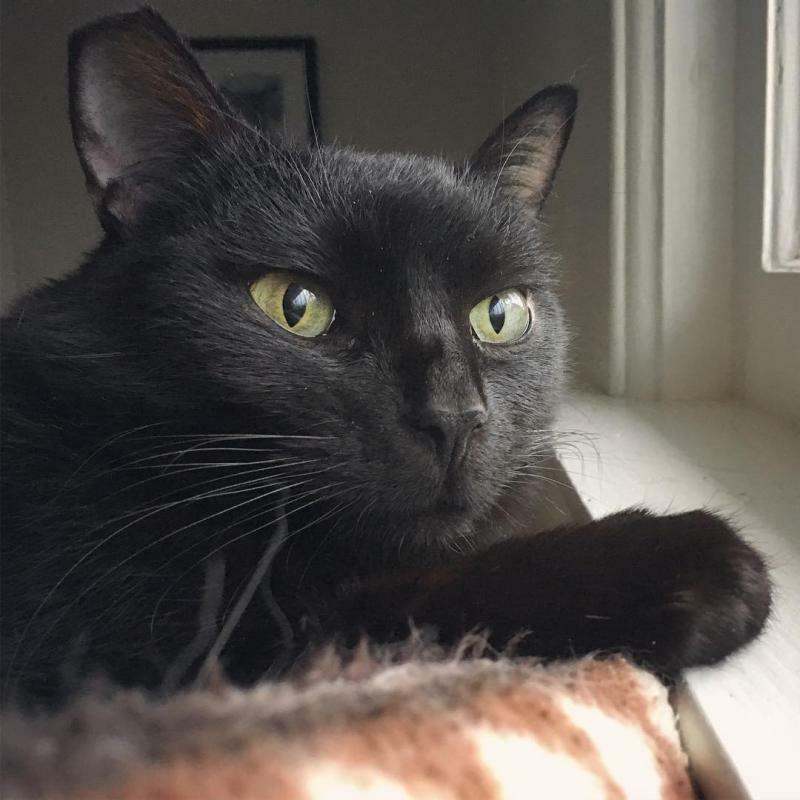 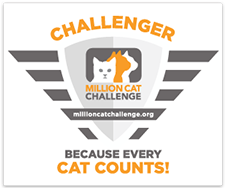 She is feline leukemia positive (FeLV+) and is mother to Riley, Cypress and Raven, who we also care for at the shelter. 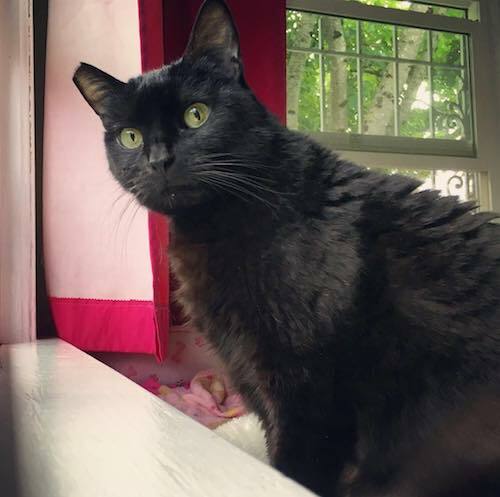 Monique is currently being treated for IBD and has been switched to sanctuary cat status while her treatment is being fine-tuned to her particular needs. 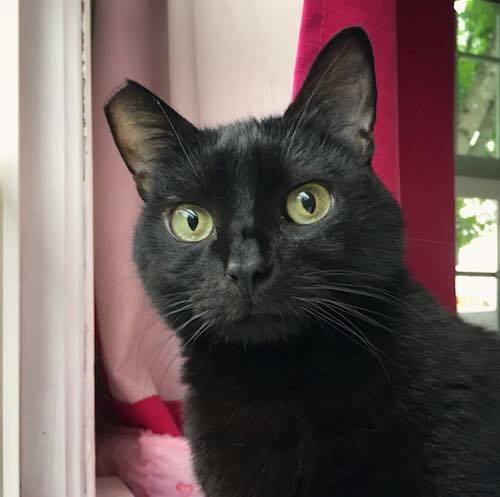 We love our precious Monique and the graceful calm she brings to the FeLV+ rooms.